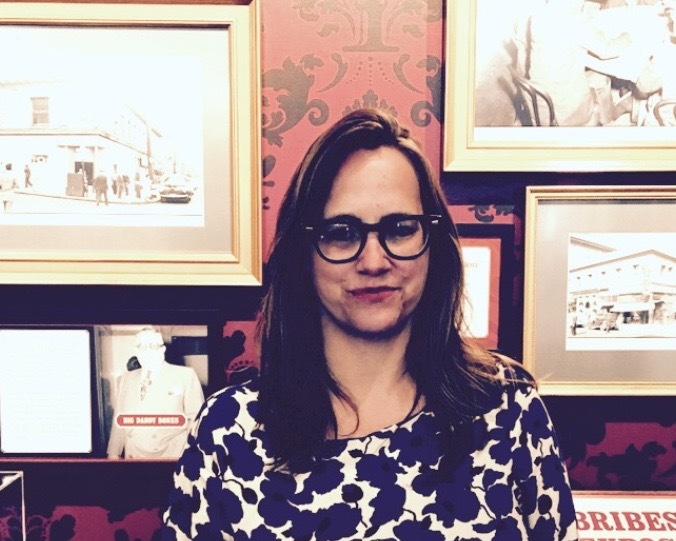 Katie Conry has served as the Tenderloin Museum’s Executive Director since 2016. When TLM opened its doors in July 2015, Conry served as its Program Director with a dynamic vision for neighborhood-centric, diverse programs that bring people together from all walks of life. As Executive Director, Katie has cemented TLM’s identity as a destination for community-based, historically-inspired arts programs. In 2018, she led TLM’s premiere of two major, critically-acclaimed performance projects: The Compton’s Cafeteria Riot play and the Tender aerial dance with Flyaway Productions. Katie has also held positions at the California Academy of Sciences, the Exploratorium, and the Contemporary Jewish Museum. In 2012, she helped fundraise to save Mission neighborhood gem Adobe Books, created its events department, supported the gallery's transition to nonprofit status, and served on the Board of Directors for three years. She holds a B.A. in Anthropology and American Studies from the University of California at Berkeley. Jean Blacksten's background is in art history. After receiving a BA in Literature with a Minor in Creative Writing from CSU Chico, she made the move to the Bay Area to study film and screenwriting. In more recent years, her interests turned to art history and museum studies. Her love of the arts and passion for history brought her to the Tenderloin Museum. Shawna Vesco is a writer and curator. She joined the Tenderloin Museum to help support its efforts to unearth, amplify, and preserve the multiplicity of histories and stories of San Francisco’s Tenderloin. She earned a Ph.D. in Literature from UC Santa Cruz, with an emphasis on language as a technology through which we (individuals and communities) fashion ourselves and make sense of the world around us. Select publications include “Redemptive Readings between Maurice Blanchot and Franz Rosenzweig” (Bloomsbury), “Collective Disindividuation and/or Barbarism: Technics and Proletarianization” (Boundary2), and “The Task of the Beloved Translator: Agha Shahid Ali as Poet and Witness” (Interim Magazine). Lavarius Gardiner is originally from the East Bay and has recently moved to the Tenderloin in San Francisco. He is currently attending the City College of San Francisco and will transfer over to San Francisco State University with the interest of majoring in Sociology. Lavarius has been working for the Tenderloin Museum since opening day and over the months has grown to appreciate the depth of character the Tenderloin neighborhood has to offer. His favorite part about working at the museum is discovering a new appreciation for jazz music and listening to the works of Miles Davis and Bobby Caldwell.